These offers are free with the purchase of the BSA Super Deluxe Junior (2016) Bicycle. 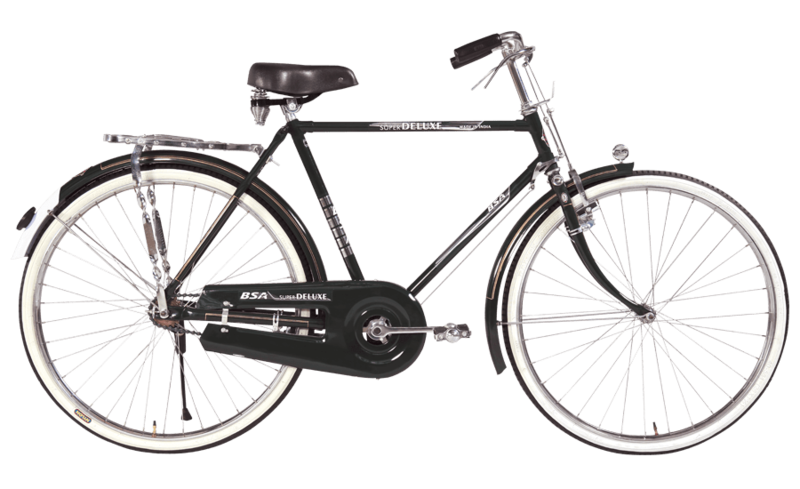 The BSA Super Deluxe Junior (2016) features an ergonomically designed brazed frame. The BSA Super Deluxe Junior (2016) is a single speed bicycle. The BSA Super Deluxe Junior (2016) has rim brakes. The BSA Super Deluxe Junior (2016) has no suspension. The BSA Super Deluxe Junior (2016) has 20" wheels with nylon tires. The Price of the BSA Super Deluxe Junior (2016) is Rs.5210. The BSA Super Deluxe Junior(2016) is an ideal starter city bicycle for young children aged between 6 to 8 years who are confident with riding and want to venture into the world of cycling without training wheels. 2. In what condition will I get the BSA Super Deluxe Junior (2016)? 6. How will I know if BSA Super Deluxe Junior (2016) will fit me without riding it? 7. How long will it take for me to receive the BSA Super Deluxe Junior (2016)?